For those of you who are aware of the United States’ love affair with the Ford F-150 pickup truck you’ll know that almost every American male either owns one or has it on his want list. First introduced in 1948 the F-150 has been the best-selling vehicle in the United States since 1981 and the best-selling pickup since 1977. Quite staggering. And confirmation that there’s an inherent affection for pickup trucks in men’s hearts. You can think of the stereotypes who might drive an F-150, the Texas cowboy or the Marlboro man- it’s a real man’s car. In the UK however, the pickup truck is used in the main as a commercial vehicle for those who need four seats and space in the loading bed for building materials, tools and such like. Examples include the Toyota Hilux, Nissan Navara or Ford Ranger. 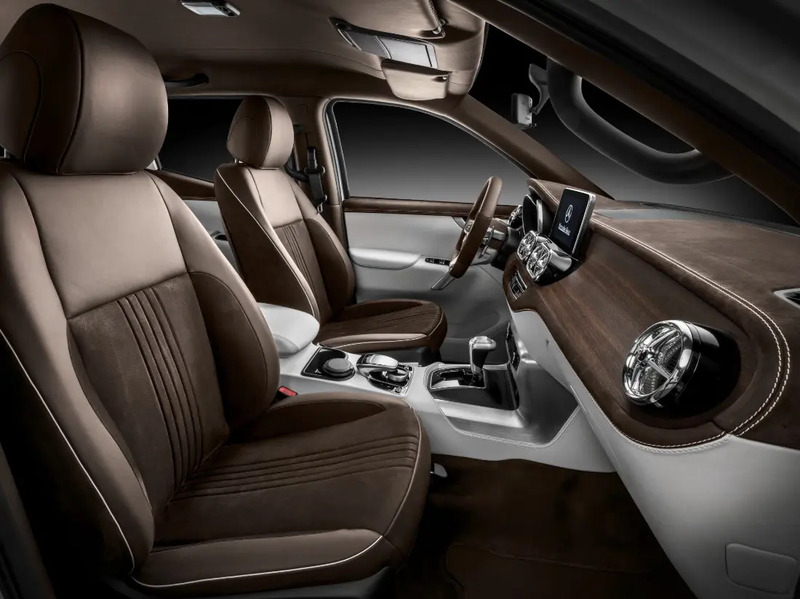 However, Mercedes have introduced a new breed of pickup truck- one with genuine style, an SUV alternative, an everyday vehicle and one with an interior to match any Mercedes passenger car. 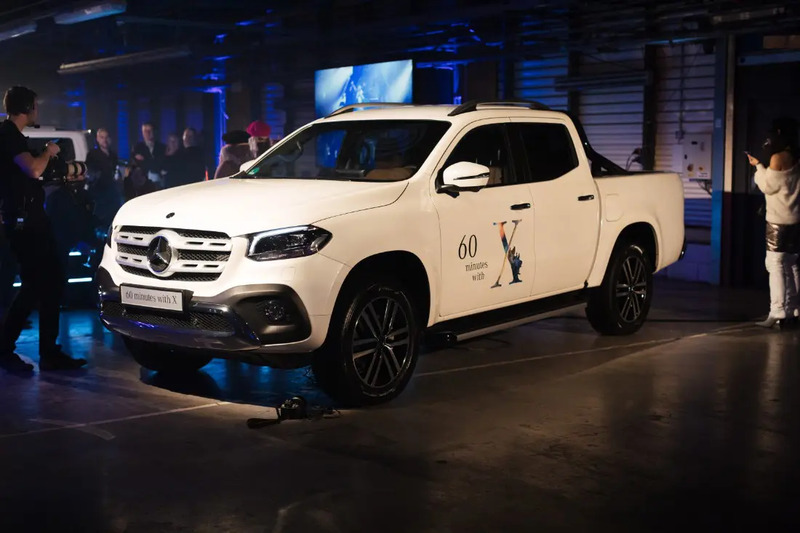 It’s named the X-Class and Ape went to London last night to take a look. 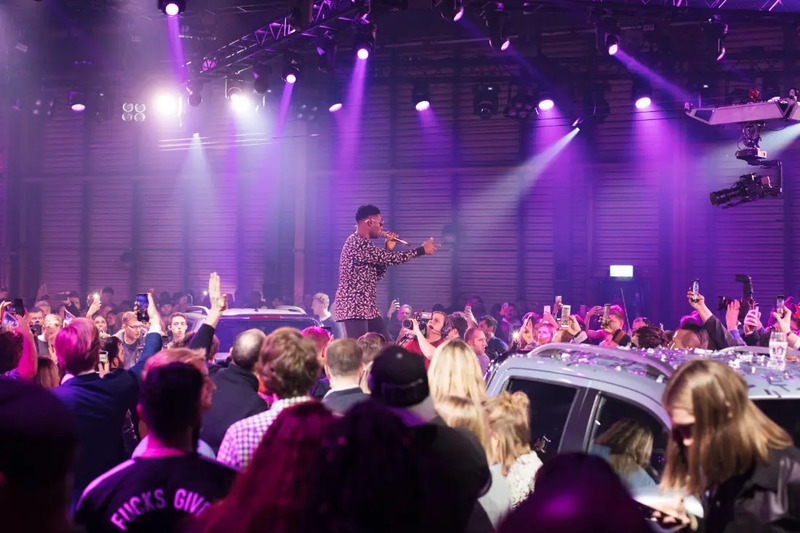 We headed to Printworks London for ’60 minutes with X’ – a launch show where the X-Class was on show introduced via a high energy party fuelled by an enthusiastic crowd, a DJ stand and cold beers housed in the loading bed of the X-Class filled with ice and Tinie Tempah. Our first thoughts were positive ones. It looks great in the flesh. 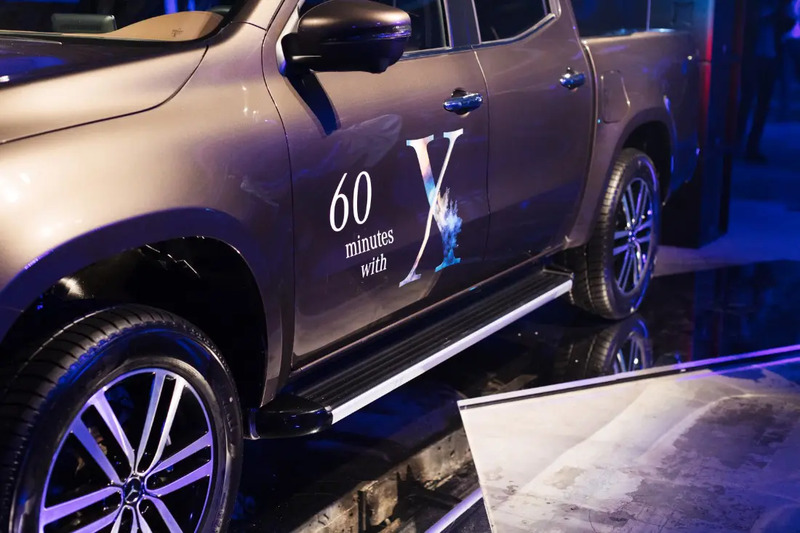 It’s clearly suitable as a rugged, all-terrain pickup but also as a vehicle for urban lifestyles and families. 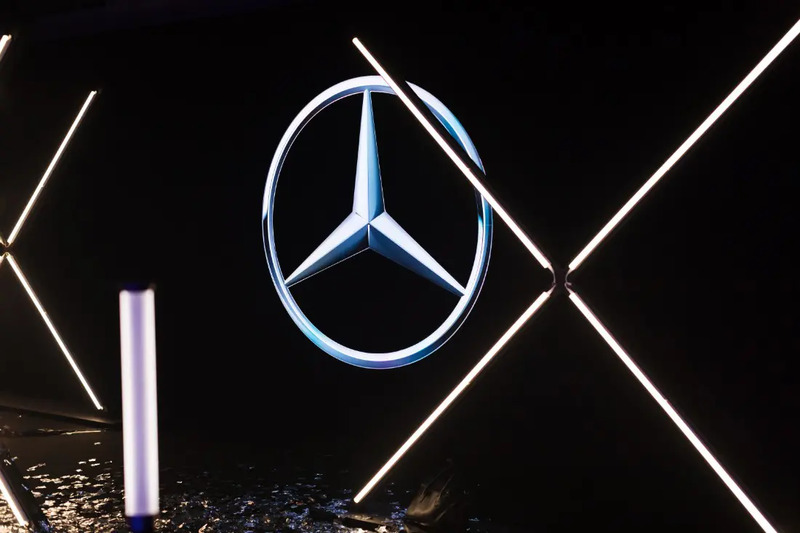 At this point it’s worth backtracking, and recalling our first email from Mercedes suggesting they had a stylish pickup in the offing, we weren’t instantly sold. But hands on, it was an instant yes from all four members of the Ape team last night. 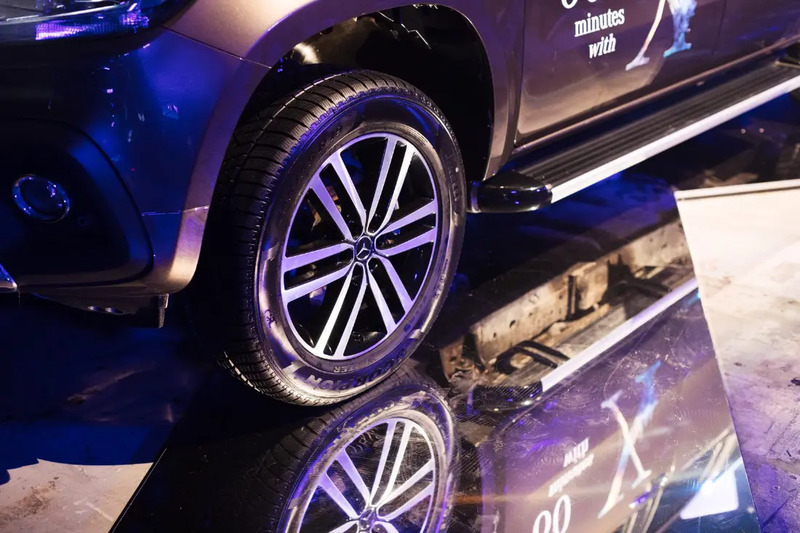 It’s the world’s first truly premium pickup, bringing a luxury edge to the class. With premium styling and comfort within Mercedes have genuinely redefined what it means to be a pickup. It’s robust and practical but quiet, comfortable and boasts a seriously luxurious cabin. 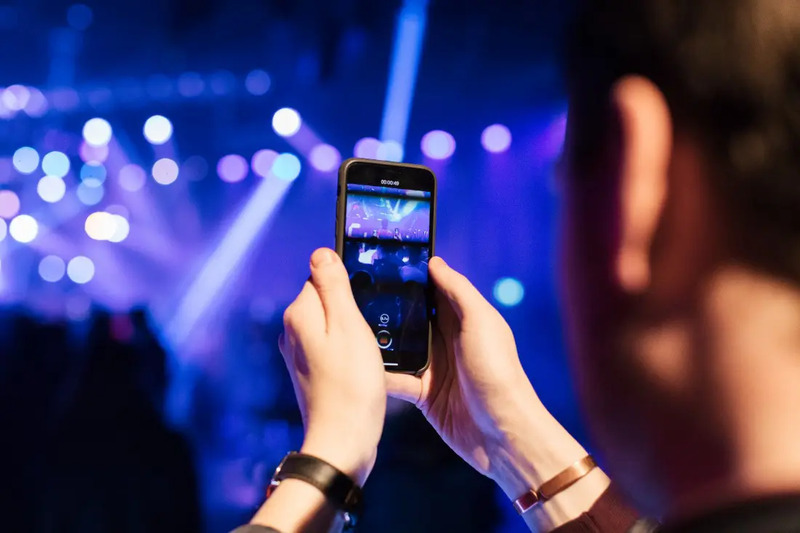 This combined with extensive on board connectivity and you’ve got a game changer. You can genuinely consider a pickup truck for your next vehicle, we don’t need to tell our American friends this- they know it already. 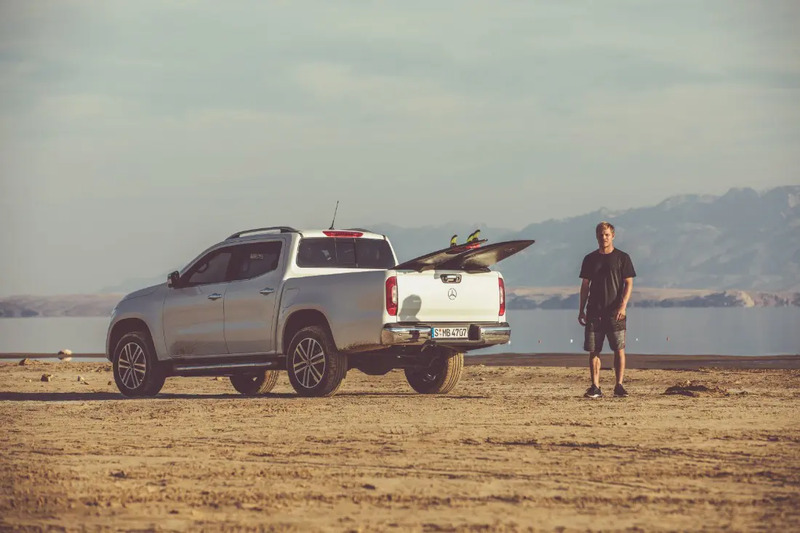 Another factor to consider, if you are going to use the X-Class for work then you have the pickup truck’s commercial vehicle classification for tax purposes. 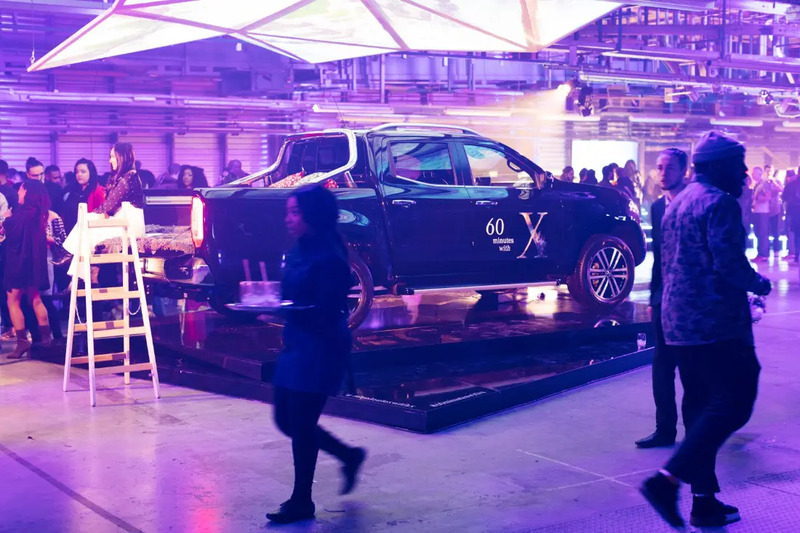 It’s a company car, meaning choosing a pickup instead of an SUV avoids the benefit-in-kind company car tax, while businesses can reclaim the VAT just like on a van. 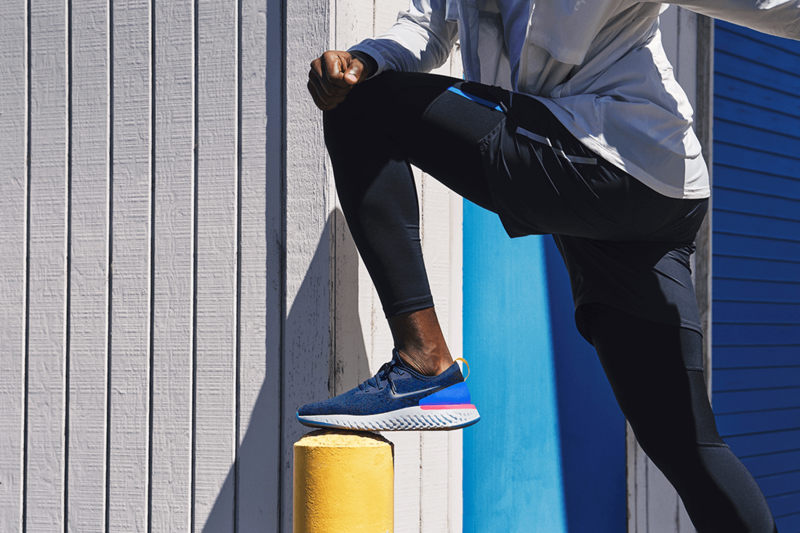 Despite this, it’s still an attractive proposition for the non-commercial user, for those looking for something rugged yet refined and with a gentlemanly edge. 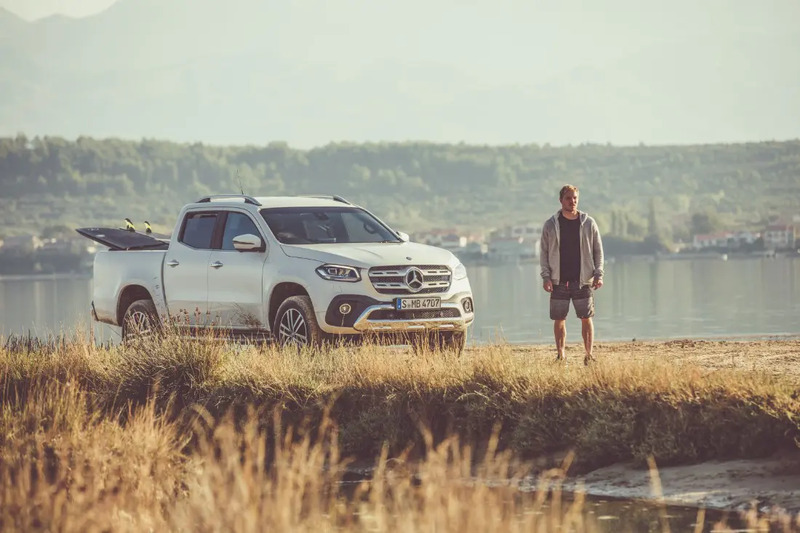 The all-wheel drive X-Class starts at £32,772 for the entry-level X 220 d 4MATIC with a 161bhp 2.3-litre diesel in Pure trim, stepping up to the X 250 d 4MATIC with a 187bhp twin-stage turbo engine at £36,612 for Progressive trim or £40,920 for the Power trim. Comparatively, you can buy a Nissan Navara with the same entry-level engine and similar specification for over £6,000 less but you’re kidding yourself if you think the Nissan has any cool-factor whatsoever, especially when compared with the Mercedes. Choose from a range of metallic paints, leather and interior trim options, and up to 19 inch alloy wheels. 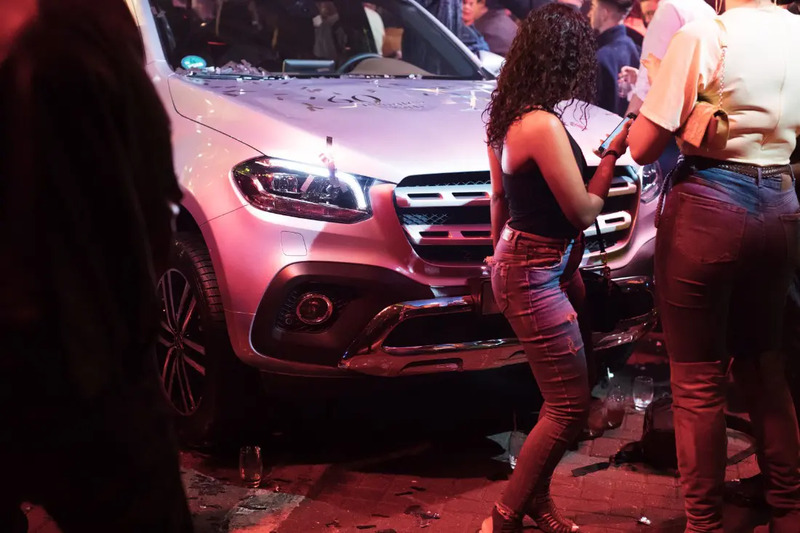 The X-Class also boasts connectivity with ‘Mercedes me’ – which means the vehicle can share information about its location, status of components like coolant or brake linings as well as summoning emergency services in the event of an accident. It’s the first of a new kind – blending workhorse abilities with car-like comfort and quality, it’s the pickup truck that gentlemen are going to want. 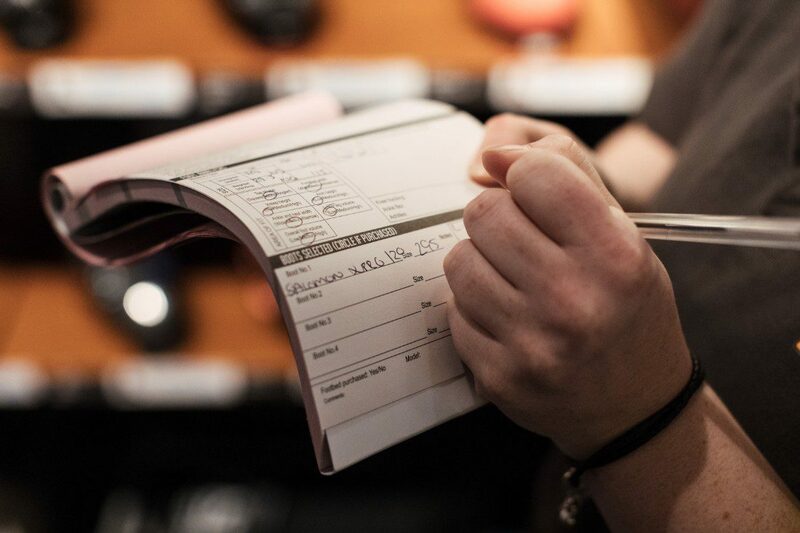 Visit mercedes-benz.co.uk for more information.